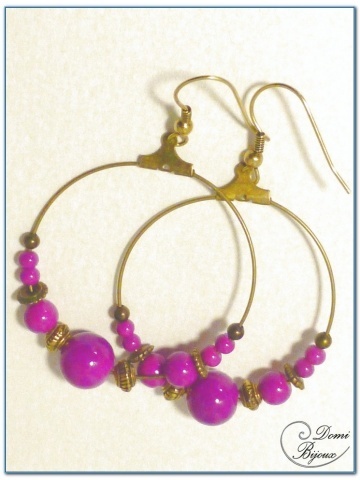 This fashion creole earings bronze finish are made with glass beads fushia colour of differents size and bronze finish beads. 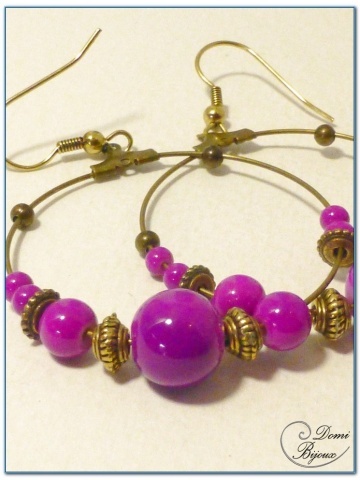 This different beads are mounted on two bronze finish creole hoops of 40 mm diameter. Two hooks complete this assembly. 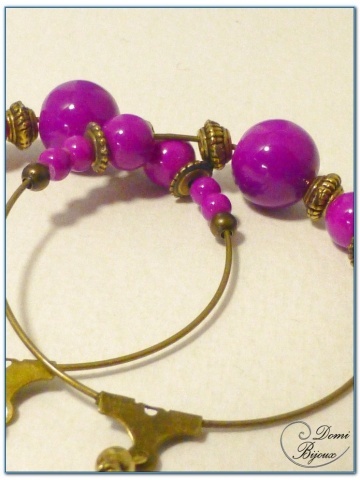 Very nice association of bronze and fushia colours. You will receive this creole earrings in a cloth pouch closed by a link to protect them when you don't wear.